So many sizes and easy fit styling! Jumpers and Summer Dresses with front and back yokes and unlined skirts. View 1 with gathered pockets and shoulder ruffles. Skirt is gathered in center. View 2 features square pockets and fitted skirt. View 3 skirt has inverted pleat instead of gathers. Ruffles of fabric or Swiss edging make for lots of options! "Piping How To’s" and "How to Make Piping" instructions included! Make it Personal - Make it Fun! Design ideas included. 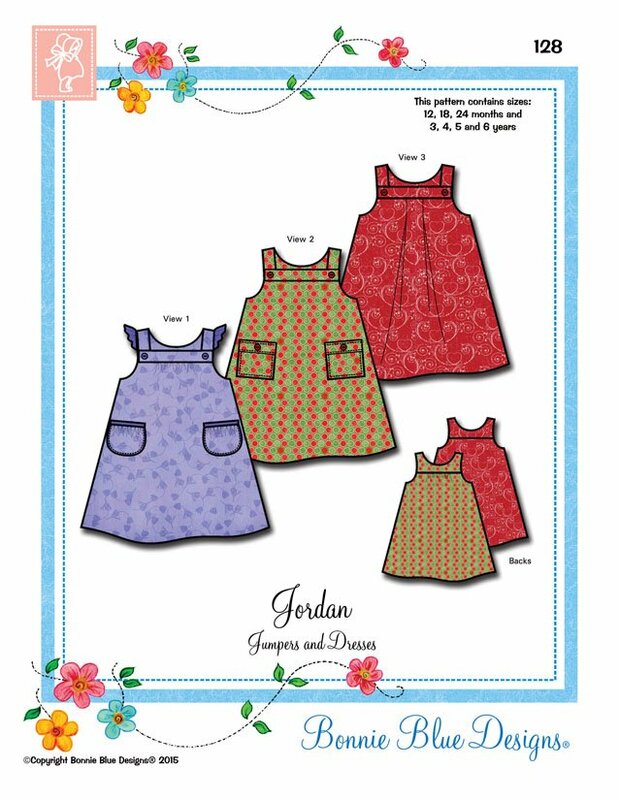 Sizes 12, 18 and 24 months and 3, 4, 5 and 6 years in one package.